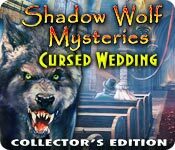 Shadow Wolf Mysteries: Cursed Wedding Collector's Edition is rated 3.7 out of 5 by 81. Rated 5 out of 5 by Boomer1097 from Fun with Werewolves This is the third installment in the series and it is excellent. You play the detective and this time you go to Paris to help Veronica. She's now grown up and engaged, but something is wrong. The graphics are excellent, the iHOS are fun, the music is good, the voice overs are well done and the mini games were fun. There are numerous locations to visit. There isn't a map with the game, but you don't really need one. There is a journal, but I never used it. The SG comes in handy every now and then. The bonus chapter was good and completed the story. The ending of the main story left you wanting more. I really enjoyed this game and look forward to the next installment in the series. Rated 5 out of 5 by rosekaufmann from LOTS OF FUN Werewolf Mephistus is seeking revenge on Veronica and her family a few days before her wedding. You’re called in to save the day. Well developed and thought-out storyline and characters. Catches your attention from the beginning. The spooky cutscenes and haunting music send a chill up your spine. 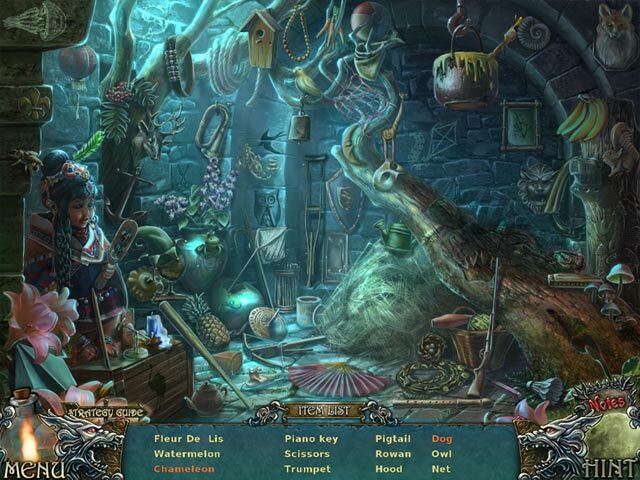 Good balance of detailed HOS and variety of puzzles with varying difficulty. Some backtracking. You’ll be seeking out people for an object, only to be told you needed to do an errand for them before they’ll give you the object. 3 modes of play: casual, advanced and hard. Gorgeously crisp and clear graphics. 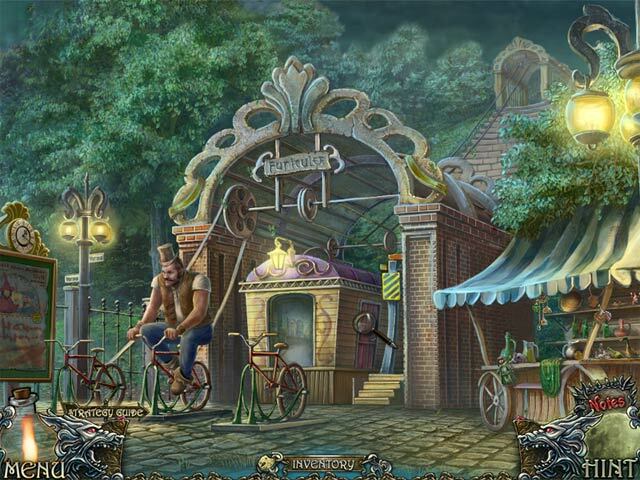 Very polished gameplay flows smoothly and easily – usually what needs to be done is intuitive. A lot of fun to play. Rated 5 out of 5 by sapoe from good! Well, it's ERS! I'm enjoy playing this game but not so having fun like the first one. Interesting storyline for me as usual. Thanks dev for making this "good" sequel. It's better than the second shadow wolf series. Good job, bunny! Rated 5 out of 5 by SherryAnnLotz from Sherry Enjoyable, was a challenge keeps you at the game till you get to the end. A about 7 hrs. Rated 5 out of 5 by lolfishlolcat from Enchanting This game is very addictive, and is intriguingly set out, yet the graphics are quite good, but the sound quality is a little halting. It is very challenging and the storyline is very cleverly placed. The characters all have an air of mystery about them and the evidence is practical. Rated 5 out of 5 by game_happy from ANOTHER SHADOW WOLF MYSTERIES WINNER!!! Like its predecessors, Curse of the Full Moon and Bane of the Family, this game is magnificent. Animation/VOs - Very well done. 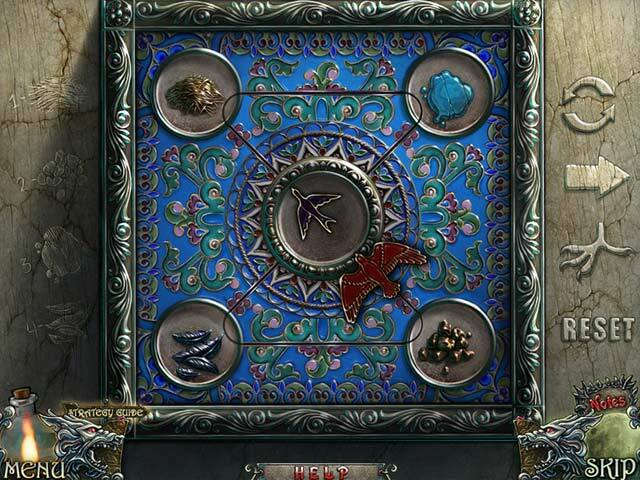 IHOs - Clear, some small objects, repeated scenes Be sure to scan all scenes for objects outside the HOs. Annoying factor was the repeated "Ahhh" everytime an object is found outside the HOs. Music - Alternated between lovely Parisienne music and blood curdling wolf howls. Hint/Skip - Slow to recharge. Hint does not act as a guide. States look elsewhere or wasting time. Puzzles - The usual variety, some easy, others more difficult No map that I could find but there is the SG which I used quite often. :-D Prepare to do a great deal of back tracking. No misclick penalty Annoying factor - Bath house full of smoke. Had to use a fan to clear it away to find silhouette objects. Bonus game play was wonderful. Wasn't going to play it at first but I'm glad I changed my mind. If you've played the first two in this series and enjoyed it then you will certainly enjoy this one as well. For those of you who haven't, I recommend playing Curse and Bane first. Get all three and happy gaming!! !